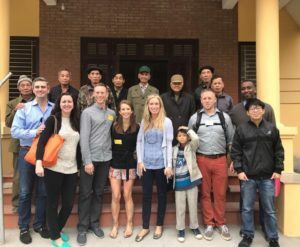 ACYPL sent a delegation to Vietnam and Malaysian including visits to Hanoi, Ho Chi Minh City as well as Kuala Lumpur, Selangor, and Putrajaya in Malaysia. In Vietnam, one notable meeting was with the Ministry of Foreign Affairs where the representatives of the Ministry led a discussion on Vietnam’s geopolitical relationships in the region and bilateral relations with the United States. 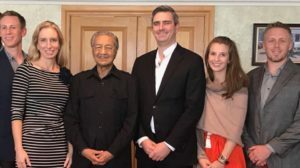 And in Malaysia the delegates had the opportunity to meet with then-former (now current) Prime Minister Mahatir Mohamad to discuss the political direction of the country. The delegation also had the chance to take a boat ride down the Mekong River in Vietnam and the cultural highlight in Malaysia was attending ACYPL alumnus Jack Lim’s wedding, which gave them the chance to observe wedding traditions of ethnically Chinese Malaysians.